2.41 Cts White & Black Diamond Ring in 14K White Gold . *Prices and availability are subject to change without notice. View our product and pricing policies for more information. **The image displayed above is a sample image of the product. 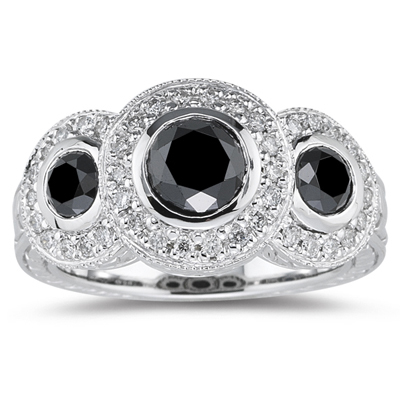 This beautiful Black Diamond Ring flaunts forty shimmering round White Diamonds and three Black Diamonds prong set in 14K White Gold. Approximate Diamond Weight: 0.32 Carats. Approximate Black Diamond Weight: 2.09 Carats. A classy ring to flatter your beautiful hands. 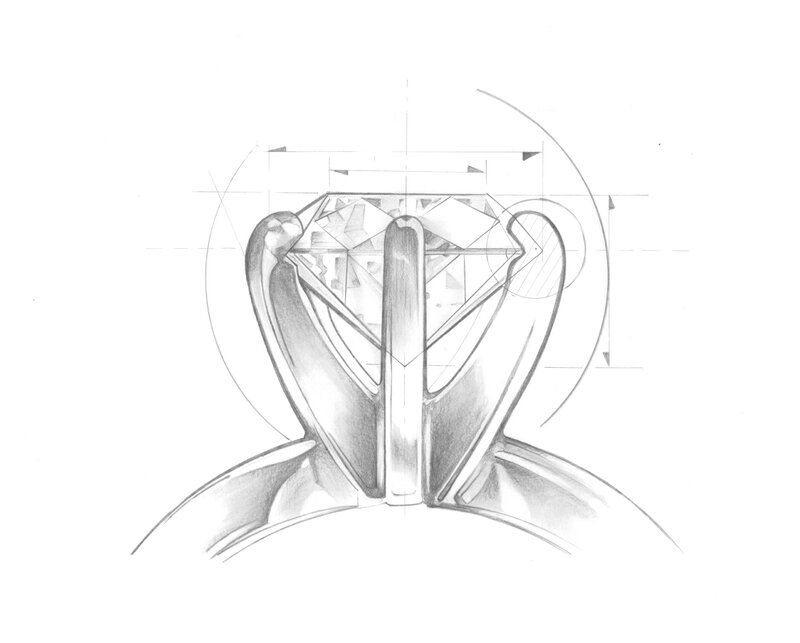 Please submit your comments and suggestions regarding our Interactive Diamond Search. Your feedback will help us improve the features. If you would like us to reply, please provide your e-mail address. We will not use your e-mail address for any other purpose. Why is MySolitaire jewelry price so low? Offer Not Avilable For The Selected Item. If you order by 12:00 PM EST today(4/24/2019),this item will shipped by May 3,2019. When will it arrive ? We proudly offer a 60 Day Warranty on all our products. It covers you from any manufacturing defect. You have added an item to the shopping cart, do you want to continue shopping or checkout now? Hello I found this on www.mysolitaire.com and I thought you might find it of interest. MySolitaireConcepts.com is dedicated to give its customers better quality and value for money. We welcome our customers to Make an Offer to purchase any product at a price of their choice. The customers can offer a price that they would buy the product at. If the ‘offer made’ matches our criteria we will sell the product at the same quoted price. Automated Process– To maintain a free and fair process we follow the entirely automated process .The selection and approval of the offer is made through this automated process. If the price matches the criteria and proves to be worthwhile for the company the offer is approved. This is a binding offer; the transaction cannot be reverted once the quoted price is confirmed. You can make only one offer at a time. If the offer is rejected the automated system allows maximum three chances. Since the system randomly selects the second and the third change, some customers get all the three chances others two or only one. There is no fixed limit to the number of offers approved, if the all prices match our criteria we will sell them all. However if none of the prices offered prove to be worthwhile we may not sell any of the products. In any case, if the Ring you got from MySolitaireConcepts.com does not fit your size, please send it back to us within 60 days from the invoice date. We will resize it approximately within 10-14 business days, and this service is absolutely free of charge* (*However, the customer has to absorb all the shipping charges except the resizing as a result of MySolitaireConcepts.com’s error). As some of the designs' resizing may damage the rings, please contact 1-866- for resizing confirmation. The product can be replaced after deducting 35% charges of the actual cost along with shipping charges. Each item must be returned in the same condition as it was sent, unworn and undamaged. Damaged goods due to client negligence will not be accepted for refund. If the item is a diamond, the original gemological laboratory certificate that was issued with the diamond needs to be returned as well. This is very important. The diamond certificate has a $200 replacement fee. If the certificate is not returned, the cost of replacing it will be charged. If the item is a gift, it is important that the authorization number be written on the MySolitaireConcepts.com address label. As with any purchase, the gift recipient may exchange the item. In any case, if the Ring you got from MySolitaireConcepts.com does not fit your size, please send it back to us within 60 days from the invoice date. We will resize it approximately within 10-14 business days, and this service is absolutely free of charge* (*However, the customer has to absorb all the shipping charges except the resizing as a result of MySolitaireConcepts.com’s error). As some of the designs' resizing may damage the rings, please contact 1-866-697-6548 for resizing confirmation. All requests will be processed after our laboratory inspects and verifies the condition of the item. Returns take approximately five to seven business days to process upon receipt of the item. MySolitaireConcepts.com’s three-step payment plan is designed to help the customer with easy interest free installments. Please take few minutes in understanding our payment schedule. The 3-step installment plan divides the total payable amount in easy fractions of 1/2, 1/4th and 1/4th. For example if a customer purchases an item worth $350 (free shipping), he will to pay the first 50% of $ 350 i.e. $ 175 (+ taxes & shipping) during the time of placing an order. The second payment of $ 87.50, 25% of the total amount, has to be made within 60 days from date of shipping. And finally the last installment of $ 87.50, 25% of the total amount, has to be paid within 60 days from day of your shipping. All tax and shipping charges are added to your first installment. Incase of any discounts, all discounts are deducted from the third and final installment. The product will be shipped only after the product is ready and once we have received the first payment/installment. To secure our company and our customers from any kind of fraud we expect that the customers provide us with correct address and credit card information. Depending on the proximity of your residence and our inventory availability, there can be slight fluctuations in the delivery. If the customer fails to make the payment within the stipulated time, he/she will be liable to pay additional charges (interest charges of 36% per year + $39.99 late fee) for each installment. The customer can make the payment of one or both the installments before the stipulated date. To pre-pone the date of payment of any one or both the installments, the customer has to make a request to the MySolitaireConcepts.com. He/She should mail at accounts@MySolitaireConcepts.com or call the customer care personally informing about the change. The company as per its discretion may approve or reject the request. The customer can request an extension of the day of payment of any one the remaining two installments. To postpone the date of payment of any one installment, the customer has to make a request to the MySolitaireConcepts.com. He/She should inform through mail at accounts@MySolitaireConcepts.com or call the customer care personally informing about the change. The company as per its discretion may approve or reject the request. The customer can only make one request for the extension of the date. Any failure to provide information within the fixed time will make the customer liable to additional late payment charges. Multiple requests to shift the date will make the customer liable to multiple late payment charges. The customer can choose to pay through a credit card, which is our standard procedure. The customer can also pay through money order/check or wire transfer by duly informing the customer care at accounts@MySolitaireConcepts.com.The check or money order should be delivered at MySolitaireConcepts.com one week prior to installment due date,. Prior notification of all date changes will help us process your payments in time. The rescheduling of the payment is company’s discretion. If MySolitaireConcepts.com is not informed by email to accounts@MySolitaireConcepts.com.com of alternate payment method for 2nd or 3rd installment, the customer may be charged the late fee and interest (only applicable if the check, money order or wire transfer is applied to the account after the installment due date). 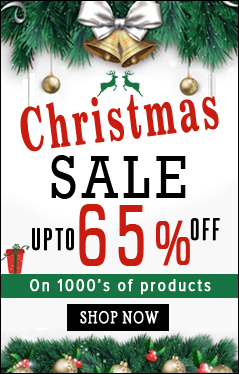 Hope you have a pleasant experience shopping with us! Installment Payment plan for MySolitaireConcepts.com. MySolitaireConcepts.com’s three-step payment plan is designed to help the customer with easy interest free installments. Before we process the order, please take few minutes in understanding our payment schedule. The 3-step installment plan divides the total payable amount in fractions of 34%, 33% and 33% of the item cost. For example if a customer purchases an item worth $350, our 3step installment plan will help him/her pay for the merchandise in three easy payments: The first 34% i.e. 119$ (+ taxes) during the time of placing an order. The second installment worth $115.50, next 33% of the total amount, should be paid within 60 days from date of shipping. The third installment, which is the last fraction of 33% i.e. $115.50 has to be paid within 60 days from day of your shipping. All tax and shipping charges are added to your first installment. Incase of any discounts-all discounts are deducted from the third and final installment. The product will be shipped only after the product is ready and once we have received the first payment/installment. To secure our company and our customers from any kind of fraud we expect that the customers provide us with correct postal address and credit card information. Depending on the proximity of your residence and our inventory availability, there can be slight fluctuations in the delivery. If the customer fails to make the payment within the stipulated time, he/she will be liable to pay additional charges. The customer can make the payment of one or both the installments before the stipulated date. To pre-pone the date of payment of any one or both the installments, the customer has to make a request to the MySolitaireConcepts.com. He/She should drop a mail at www.MySolitaireConcepts.com and call the customer care personally informing about the change. The company as per its discretion may approve or reject the request. The customer can request an extension of the day of payment of any one the remaining two installments. To postpone the date of payment of any one installment, the customer has to make a request to the MySolitaireConcepts.com. He/She should inform through mail at customerservice@MySolitaireConcepts.com and call the customer care personally informing about the change. The company as per its discretion may approve or reject the request. The customer can choose to pay through a credit card, which is our standard procedure. The customer can also pay through money order/ cheque or wire transfer. However, the cheque should be delivered at MySolitaireConcepts.com one week prior to shipping date, duly informing the customer care at customerservice@MySolitaireConcepts.com Prior notification of the changes will help us process your order in time. The rescheduling of the payment is company’s discretion. Incase if you assign a new time for the payment, post-order-placement your order, you will liable for an additional multiple charges. For postponing your payment you need to contact the customer service representative via phone or email. The company is not responsible if the authentic address and information is not received. *Customized products are the ones specially made on request of the customer. Fill the Return Form- Complete the Return Form provided with the original packing materials. Packing- Securely pack your item(s) along with the original packing materials- including Mysolitareconcepts.com Return Form, Packing Slip and the Diamond Certificate if appropriate, in a plainly wrapped cardboard box (the post office has these available if you do not). Send the package by FedEx, if the value of the items ‘being returned’ is less than $500. If the item ‘being returned’ is more than $500 Priority Registered Mail is the safest way to ship high-value items. FedEx and UPS will not insure goods over $500. For returns of over $500 from outside the US, please contact a 3rd party insurance company to arrange coverage. *Mysolitareconcepts.com is not responsible for items lost or damaged while shipping. Our Address- Clearly print your name and address on the outside of the package in the return area. Please be careful: You should NOT write Mysolitareconcepts.com, jewelry, diamonds or other luxury-related words anywhere on the package, as this invites possible theft of the package. Packages without a Return Authorization Number will not be accepted for refund. The item MUST be received at Mysolitareconcepts.com WITHIN THE SPECIFIED DAYS from the date of shipment of the order from Mysolitareconcepts.com. Any items received after the specified days from the shipment date will not be accepted for refund. If the item is a gift, it is important that the authorization number be written on the Mysolitareconcepts.com address label. As with any purchase, the gift recipient may exchange the item. In any case, if the Ring you got from Mysolitareconcepts.comdoes not fit your size, please send it back to us within 60 days from the invoice date. We will resize it approximately within 10-14 business days, and this service is absolutely free of charge* (*However, the customer has to absorb all the shipping charges except the resizing as a result of Mysolitareconcepts.com’s error). As some of the designs' resizing may damage the rings, please contact 1-866-MYSOLITAIRE for resizing confirmation. Mysolitareconcepts.com will refund the full cost of the item EXCLUDING shipping, handling and insurance charges. Mysolitareconcepts.com will refund shipping and handling costs only if the return is a result of Mysolitareconcepts.com's error. Refunds will be made in the same form as the original purchase. If an item is returned due to error in shipping address entered by the customer, an additional $29.95 will be charged. If the package shipping address has to be changed after shipping then MySolitaire will charge an extra $19.95 for the shipment. Any orders not accepted by the customer upon delivery will be charged $19.95 for the return shipping costs. Again, please return every item WITHIN THE SPECIFIED DAYS FOLLOWING THE INVOICE DATE with all of its original materials. If you have any questions, please contact our customer service representatives. Click here for a printable version of the return form. mysolitaire.com congratulates you for your purchase. Your beautiful new piece of jewelry is covered for a period of sixty days against any manufacturer's defects. Mysolitareconcepts.com will, at its option, repair or replace the item, provided the item be returned within the stipulated warranty period, accompanied by the proof of purchase. This warranty is void if the item has been damaged by accident, negligence, unauthorized service or other factors not due to defects in materials or workmanship. We are happy to repair an item out of warranty at a nominal charge. We are sorry, but there are no refunds. Please be aware that since each Product is one-of-a-kind, MySolitaire.com cannot guarantee that it will be delivered exactly as the image appear on the web site, and it may slightly differ from the image, including but not limited to the gemstone color.